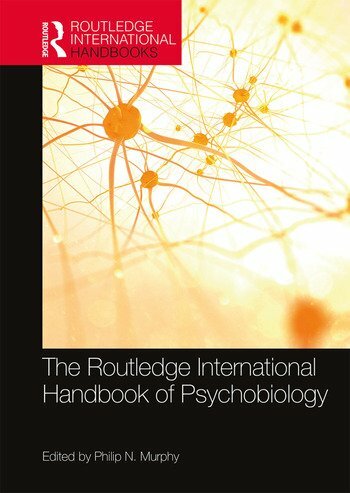 The Routledge International Handbook of Psychobiology provides authoritative, cutting-edge research across the range of areas that fall under the umbrella of psychobiology. The handbook comprises 30 chapters which are organized into seven sections: the physical environment; how psychobiological processes regulate how we respond and cope; stress and anxiety; managing and enhancing mood and cognition; substance use and misuse; sleep; and psychobiology and human development. Each of the chapters is authored by experienced and active researchers in their field who provide authoritative reviews of the latest developments in psychobiology. It is essential reading for both established researchers in the field of psychobiology, as well as advanced students wishing to learn more about both the historical foundations and latest developments in this rapidly growing field. Chapter 1. What is psychobiology? Section Two The physical environment: how psychobiological processes regulate how we respond and cope. Chapter 20. What is the evidence for psychobiological harm from the use of ‘ecstasy’ (MDMA)? Chapter 27. Psychobiological foundations of early sensory-motor development and implications for neonatal care. Philip N. Murphy is Professor of Psychology at Edge Hill University in Lancashire, United Kingdom, where his research is situated within the Substance Use and Misuse Lab. He has worked professionally in the field of substance use since the early 1980s. His research areas include clinical aspects of treating heroin and cocaine dependence, and the implications for cognitive performance of the use of ‘ecstasy’ and cannabis.